For centuries, Man has been fascinated and intrigued by the world of plants. His survival and well-being depend on the very existence of plants. Having a high respect and reverence for Nature, the Chinese through the ages have always regarded plants as the bestower of and a teacher in life. The Chinese believe that plants are not only physically linked but are also mysteriously bonded and connected to Man's well-being. As such, plants have earned themselves a significant place in the rich tapestry of Chinese Culture. 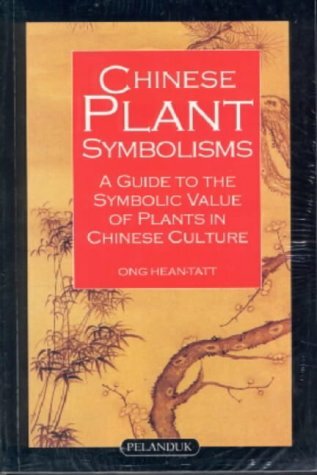 Chinese Plant Symbolisms delves into the mysticism and subtle symbolism of Tao as represented by plants. This includes the use of plants as good-luck motifs, symbols of blessings and medicine. The art of Chinese painting and geomancy which are enriched by plant symbolism and the symbolic attributes of plants such as filial piety, nobility, wisdom and love are also dealt with. This book also records the application of plants by the ancients to achieve longevity, the role of plants in generation shen and chi and how they maintain and regulate balance between the yin and yang forces of Nature. Besides documenting the significance of plant symbolism in Chinese culture, Chinese Plant Symbolisms unveils the wonder and beneficial effects that plants have on Man and the environment, and urges Man to walk with Nature in joyful harmony.